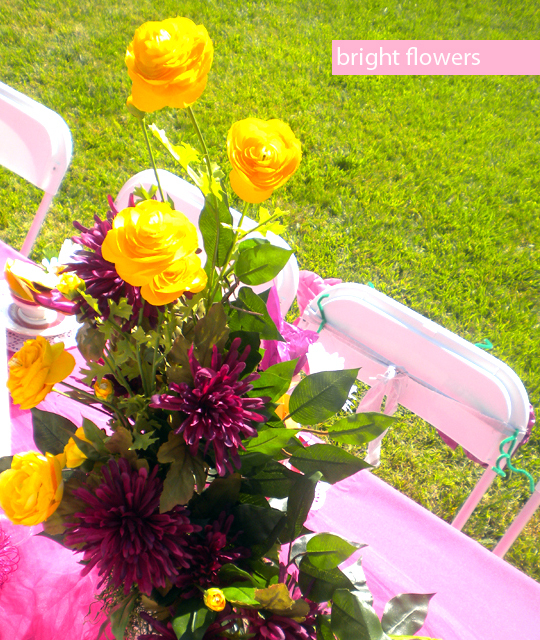 last week I posted some tips on how to plan the perfect party, I thought a good follow-up post would be to show some images from my baby shower a few years ago. My mom, sisters and I planned this party and I think it turned out really well. 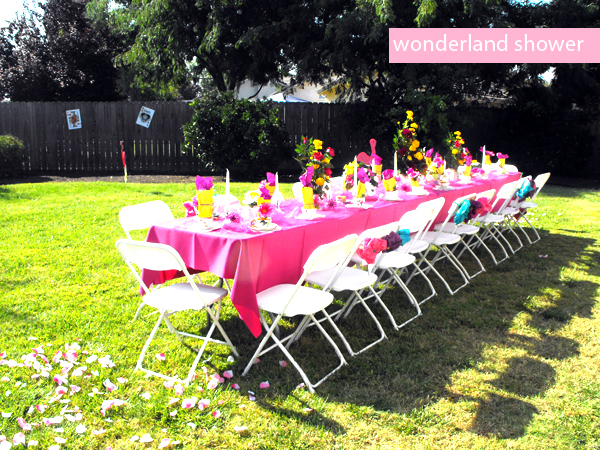 The party was at the end of September and Alice and Wonderland inspired. 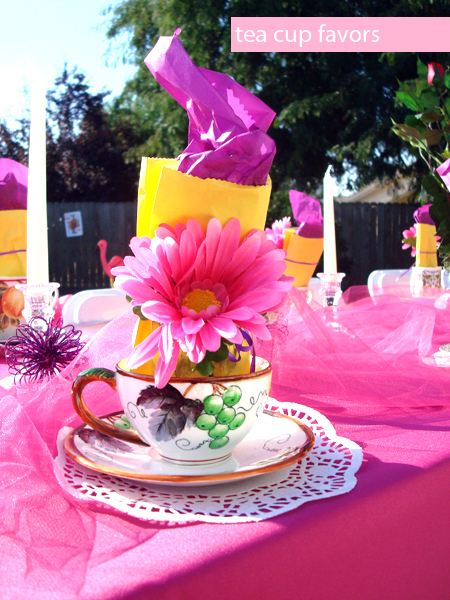 I love the quirky tea party in that movie so I thought it would be the perfect inspiration for an outdoor tea party. 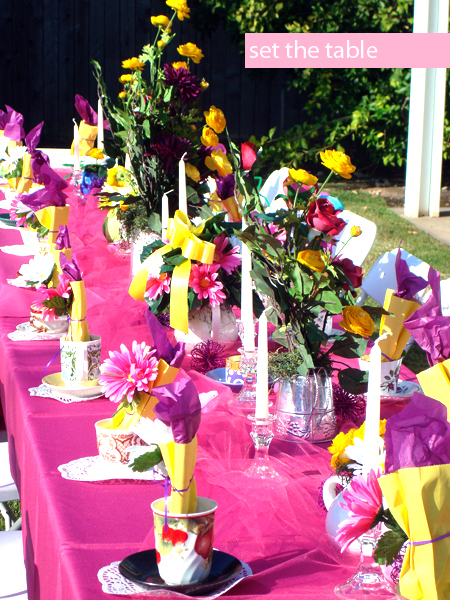 I used 20 mis-matched tea cups, magenta tablecloths with hot pink tulle, lots of candles, some doilies and tons of flowers to create a table that was both outrageous and beautiful. These nifty platters my sister made of wine and martini glasses from the dollar store and cheap plates, painted in beautiful pastel colors, really helped to create depth on our food table. Since the shower was in the morning we served lots of morning goodies along with casseroles, cinnamon rolls, fruit, mimosas, coffee and tea. My mom hunted for all of the tea cups in antique shops and garage sales and so we washed them and packaged them as favors along with simple yellow paper bags full of chocolate. 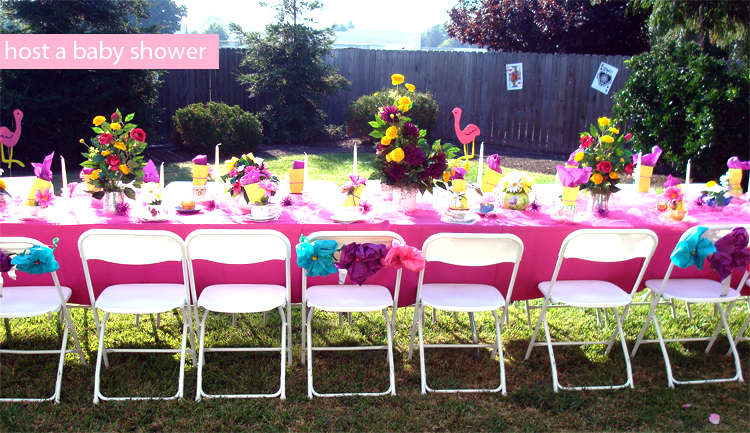 hosting a baby shower can be simple with a strong theme to draw from. In an upcoming post I will lend some more tips on this topic. adorable! looks like creativity runs in the family. that always comes in handy! 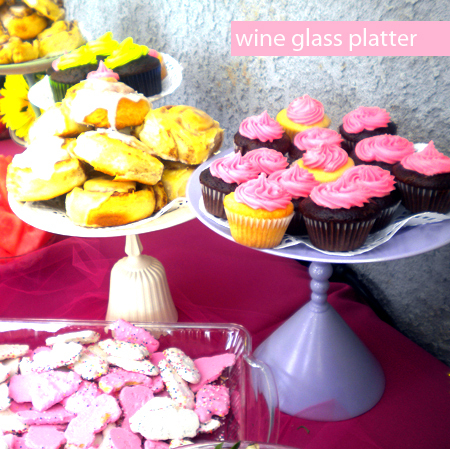 love the wine glass cake plates. great idea! !